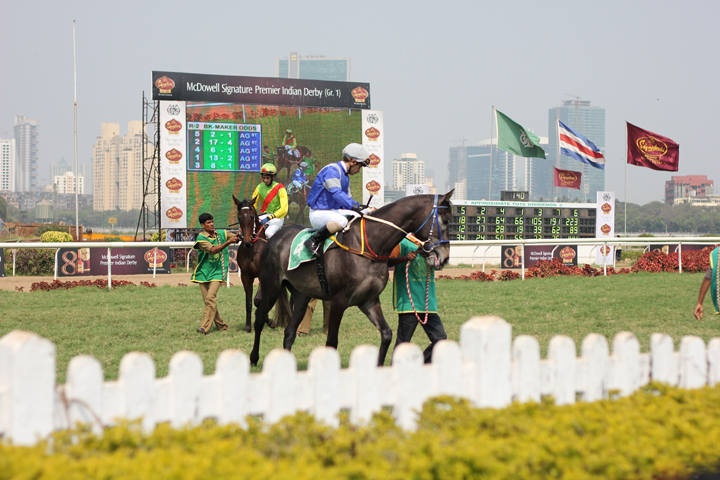 The Indian Derby, run at Mumbai's Mahalakshmi Race Course, is the highlight of Mumbai's racing season and a major occasion on the city's social calendar. 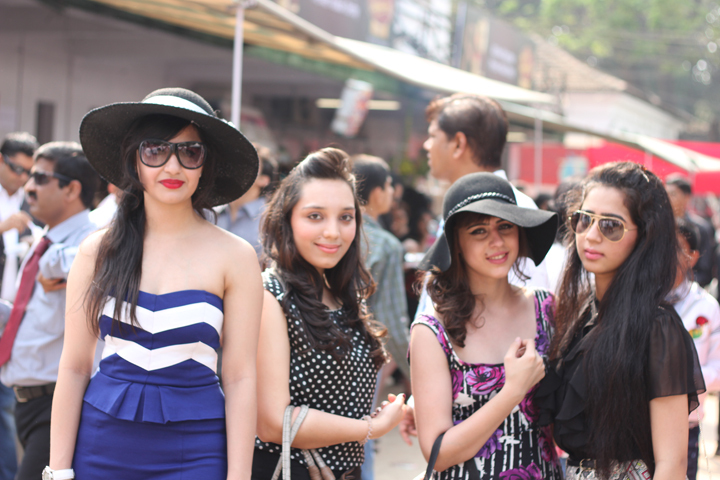 Serious racing fans are outnumbered on Derby day as the course overflows with well-heeled viewers. 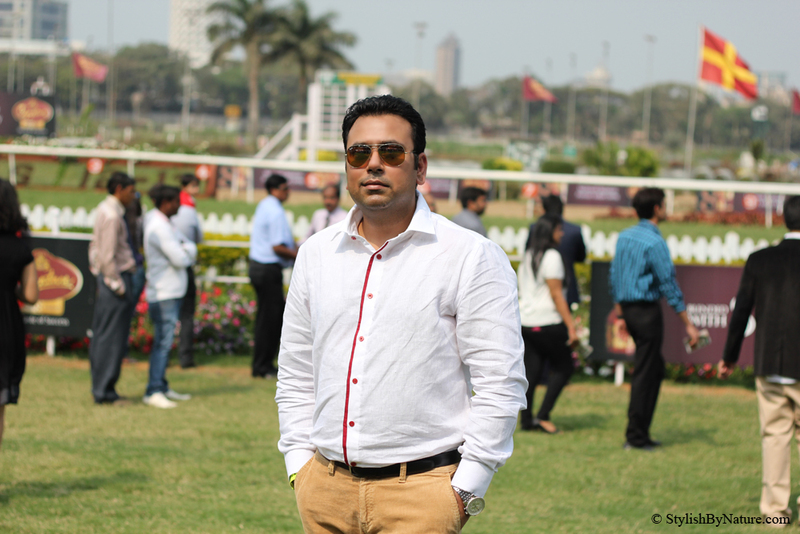 The race is known as the "Crown Jewel of the Triple Crown". 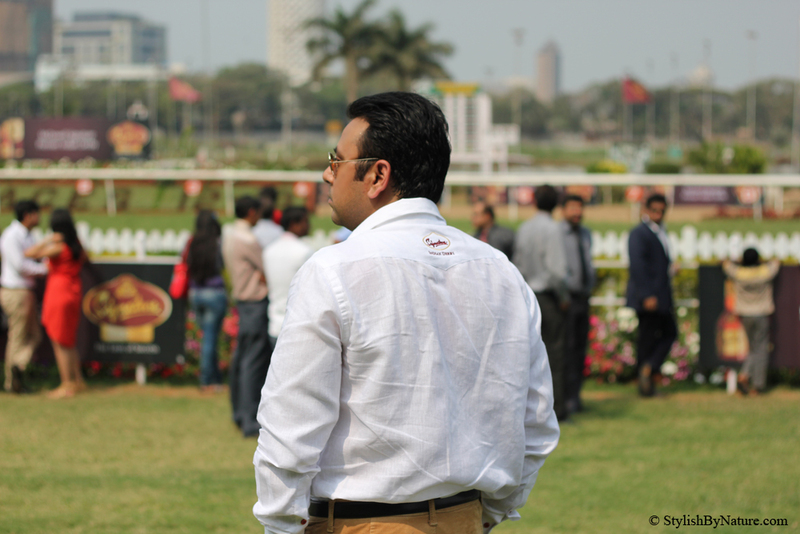 The event is supported by McDowell and Company, a liquor company controlled by Vijay Mallya, who also owns one of India's leading stables. Noooooo !!!! Love your striped dress !!! And sunglasses ??? Amazing !!!! Let see my second outfit Post about Mangano!!! I wait you :-D Kiss from Italy ! 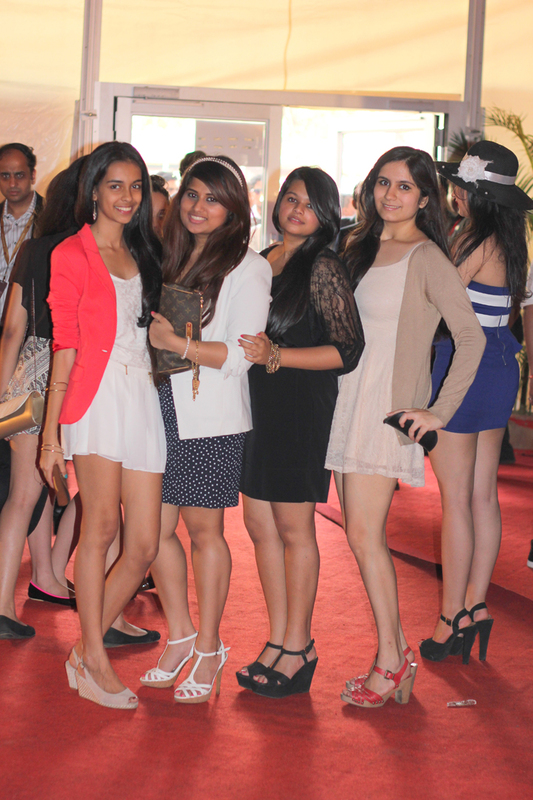 Love your dress <3 Great pics Shalini!! I LOVE the blue striped dress. So gorgeous! i love this necklace and what a pretty dress..You look stunning as always!! Nice, seems like you had a blast! Nice dress! Looked like fun!! I m crazy about you dress !! 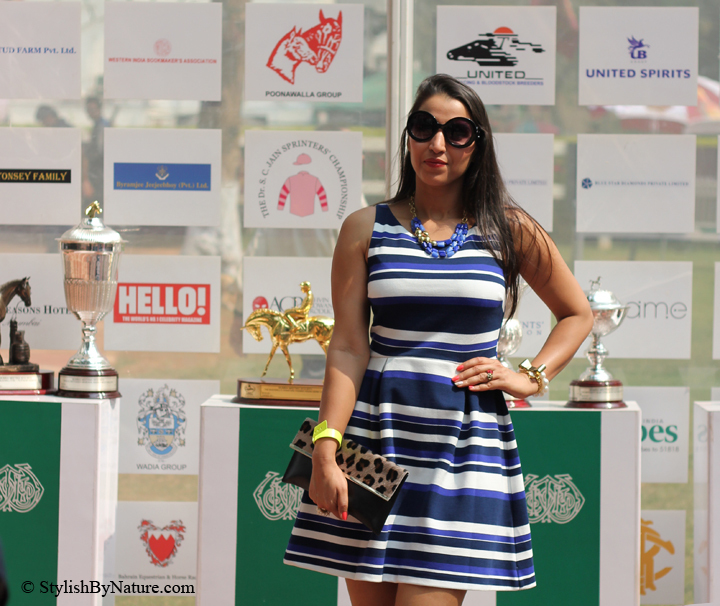 Great striped dress! You look pretty! Preciosa vestido y las rayas son muy actuales. The event looks super fun but,you had me at those vintage glasses. 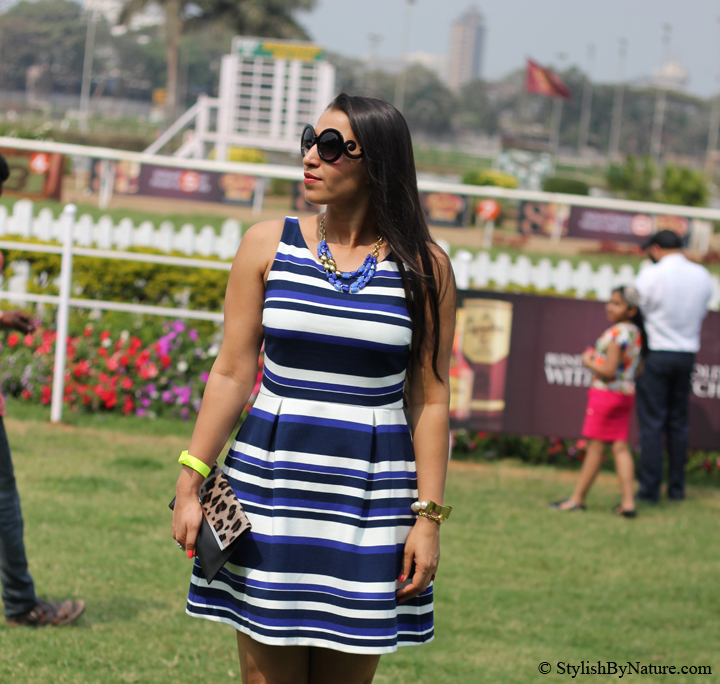 Love the gorgeous striped dress! Absolutely stunning in stripes!! I'm loving the accessories: the leopard clutch and shoes, the bracelet and a hint of neon ..you're styling is brilliant! You look great look like such a fun events. I always love stripped dresses and this short blue stripped dress is so cute.. you look so amazing in this! You might have had a lot of fun,it seems!! in love with that dress. A friend just showed me her pic in same one and I've been in love ever since. Those glaseses... lustworthy !! You are looking drop dead gorgeous. And from the pics it seems you had a lots of fun.